The X68000 (Japanese: エックス ろくまんはっせん, Hepburn: Ekkusu Rokuman Hassen) is a home computer created by Sharp Corporation, first released in 1987, sold only in Japan. 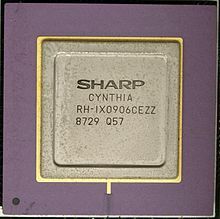 The first model features a 10 MHz Motorola 68000 CPU (hence the name), 1 MB of RAM, and no hard drive; the last model was released in 1993 with a 25 MHz Motorola 68030 CPU, 4 MB of RAM, and optional 80 MB SCSI hard drive. RAM in these systems is expandable to 12 MB, though most games and applications do not require more than 2 MB. The X68k runs an operating system called Human68k which was developed for Sharp by Hudson Soft. An MS-DOS-workalike, Human68k features English-based commands very similar to those in MS-DOS; executable files have the extension .X. Versions of the OS prior to 2.0 have command line output only for common utilities like "format" and "switch", while later versions included forms-based versions of these utilities. At least three major versions of the OS were released, with several updates in between. Other operating systems available include NetBSD for X68030 and OS-9. Early models have a GUI called "VS" or "Visual Shell"; later ones were originally packaged with SX-WINDOW. A third GUI called Ko-Window exists with an interface similar to Motif. These GUI shells can be booted from floppy disk or the system's hard drive. Most games also boot and run from floppy disk; some are hard disk installable and others require hard disk installation. Since the system's release, software such as Human68k, console, SX-Window C compiler suites, and BIOS ROMs have been released as public domain software and are freely available for download. The X68000 features two soft-eject 5.25in floppy drives, or in some of the compact models, two 3.5in floppy drives, and a very distinctive case design of two connected towers, divided by a retractable carrying handle. This system was also one of the first to feature a software-controlled power switch; pressing the switch would signal the system's software to save and shutdown, similar to the ATX design of modern PCs. The screen would fade to black and sound would fade to silence before the system turned off. The system's keyboard has a mouse port built into either side. The front of the computer has a headphone jack, volume control, joystick, keyboard and mouse ports. The top has a retractable carrying handle only on non-Compact models, a reset button, and a non-maskable interrupt (NMI) button. The rear has a variety of ports, including stereoscopic output for 3D goggles, FDD and HDD expansion ports, and I/O board expansion slots. The monitor supports 15/24 and 31 kHz with up to 65,535 colors and functions as a cable-ready television (NTSC-J standard) with composite video input. It was an quality monitor for playing JAMMA compatible arcade boards due to its analog RGB input and standard-resolution refresh timing. Early machines use the rare Shugart Associates System Interface (SASI) for the hard disk interface; later versions adopted the industry-standard Small Computer System Interface (SCSI). Per the hardware's capability, formatted SASI drives can be 10, 20 or 30 MB in size and can be logically partitioned as well. Human68K does not support the VFAT long filenames standard of modern Windows systems, but it supports 18.3 character filenames instead of the 8.3 character filenames allowed in the FAT filesystem. Human68K is case sensitive and allows lower case and Shift JIS encoded Kanji characters in filenames, both of which cause serious problems when a DOS system tries to read such a directory. If a X68000 user restricts himself to use only filenames according to the 8.3 characters scheme of DOS, using only Latin upper case characters, then a disk written on the X68000 is fully compatible with other Japanese standard platforms like e.g. the NEC PC-9800, the Fujitsu FMR and FM Towns computers. The Japanese standard disk format used by the X68000 is: 77 tracks, 2 heads, 8 sectors, 1024 bytes per sector, 360 rpm (1232 KiB). Many add-on cards were released for the system, including networking (Neptune-X), SCSI, memory upgrades, CPU enhancements (JUPITER-X 68040/060 accelerator), and MIDI I/O boards. The system has two joystick ports, both 9-pin male and supporting Atari standard joysticks and MSX controllers. Capcom produced a converter that was originally sold packaged with the X68000 version of Street Fighter II′ that allowed users to plug in a Super Famicom or Mega Drive controller into the system. The adapter was made specifically so that users could plug in the Capcom Power Stick Fighter controller into the system. In terms of hardware, the X68K was very similar to arcade machines of the time, and served as the Capcom CPS system development machine. It supports separate text RAM, graphic RAM and hardware sprites. Sound is produced internally via Yamaha's then top-of-the-line YM2151 FM synthesizer and a single channel OKI MSM6258V for PCM. Due to this and other similarities, it played host to many arcade game ports in its day. Games made for this system include Parodius Da! －Shinwa kara Owarai e－, Ghouls 'n Ghosts, Strider, Final Fight, Alien Syndrome, Street Fighter II Dash, Akumajo Dracula (Castlevania in other regions, the X68000 version was ported to the PlayStation as Castlevania Chronicles), Cho Ren Sha 68k (which has a Windows port) and many others. Many games also supported the Roland SC-55 and MT-32 MIDI modules for sound as well as mixed-mode internal/external output. ^ a b c d Japan, Information Processing Society of. 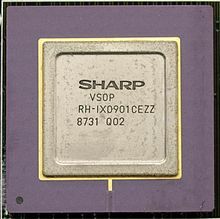 "X68000-Computer Museum". museum.ipsj.or.jp. ^ "x68000:custom_chips [NFG Games + GameSX]". www.gamesx.com. ^ a b c "x68000:screen_control [NFG Games + GameSX]". gamesx.com. ^ a b c d "Google Translate". translate.google.com. ^ a b "x68000:x68000_product_catalog [NFG Games + GameSX]". www.gamesx.com. ^ "illusionware.it - Sharp X68000 Overview". www.illusionware.it. ^ "x68000:ts-6bga_-_pcm_sound_board_graphics_accelerator [NFG Games + GameSX]". www.gamesx.com.